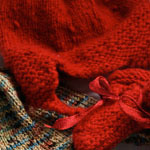 Free Knitting Patterns for babies, children and adults, from FAB! Baby knitting patterns, kids knitting patterns, toddler knitting patterns. Free patterns for all types of fast, easy projects. 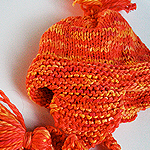 Kids, toddler and baby easy to knit patterns for chunky and bulky yarn types. Our sweater patterns are great weekend projects, fast to knit, and easy to follow directions. We were beginners once, too! Up to 25% off on EVERY purchase! 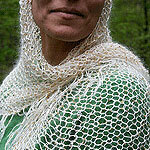 NEW FREE KNITTING PATTERNS PAGE! Baby Booties and matching hat make a great new baby present - one skein will do it so you can splurge. Made for a yoga diva who broke her wrist, our super easy glamolette wrist warmers rely on fiber fabulosity, not complicated patterns. Our luxe links shawl is delicate and easy -a pattern that looks really complicated - but isnt! Harry Potter 4-Chapter hat. The perfect pattern for knitting and listening. 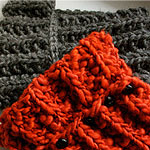 2 Cool Cowls Fast, easy, fashionable neck warmers. Yum. 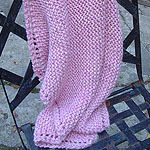 Very easy and elegant Beaded & Sequin Mohair Silk Shawl/Wrap Super Easy Diagonal Baby Blanket. Works in any fiber, for any season. Our Popular Very Easy Baby Booties - addictive and easy! An elegant Topper for any Tot. Baby Bling. Very Easy One Button Cardigan. Easy on easy off easy to knit! Please make sure you add as many patterns as you want to your shopping cart before you check out, so you only have to do it once! 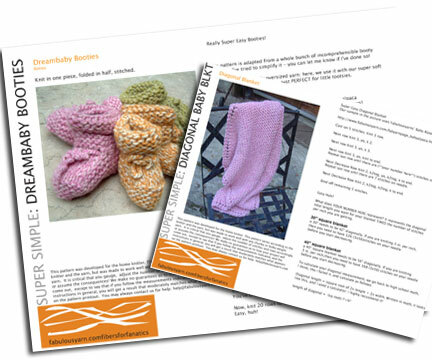 Don't forget to check out the easy free Baby Booties Pattern - one of our most popular! We write, edit adapt and revise our patterns continually. By downloading a pattern, you will be added to our knitlist and receive information on any revisions, corrections or additions to our patterns. This is a very easy baby booty pattern that even beginning knitters can understand! Its almost magic the way you seem to be knitting in this odd pattern, and then voila - you have a booty! 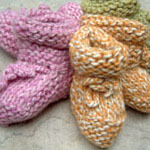 This baby booties pattern knits up very quickly, and the finished booties are really cute! They are a delight to make, and a wonderful gift to give. A great baby knitting project! Our wonderful diagonal baby blanket has great knitting tips on how to get exactly the dimension of blanket you want. 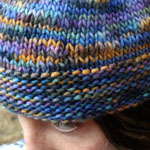 This is a super easy pattern, and works up just as well in acrylic as it does in mohair! We show it here in fabulous baby alpaca. This easy pattern requires a button, knits up in one piece, and is a very good pattern to use to learn about shaping using increases and decreases. Our infants roll neck can be adjusted easily for up to 24 months. This is loose, funnel necked sweater that can really be adjusted for any size. Here it is a larger size 4t/5t. 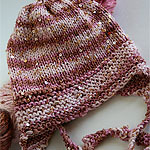 Simple, easy to knit toddler hats that look great! Earflap hat pattern coming soon. Courtesy of Lion Brand, is a cool, funky, giant pom topped tassle hat. A really cute seed stitch with a giant pom . 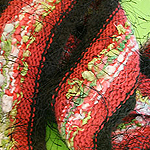 Great if you want to practice seed stitch, and a fast project. Courtesy of Lion Brand, a very simple easy tassle trimmed hat. Another great hat featuring Lion Brand's BIG. A very good beginners pattern, and a great fast project. When you download your pattern you will also be added to my pattern updates list, which means I'll let you know when there have been corrections to a pattern you hanve, and I'll also let you know when new patterns are added to the site. If you do not wish to receive this kind of communique from me, please let me know via the comment box when you check out. We specialize in chunky, bulky, and funky knitting patterns and yarns that work for children, baby and toddlers. Knitting patterns that are simple and easy to work, yet satisfying even for an experienced knitter because of the unique yarns used. These patterns can be purchased on their own or they come free in knitkits, and right now, any yarn purchase includes a FREE PATTERN! 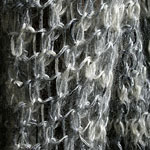 Almost all our patterns are designed for chunky or bulky yarns. Please join our knitlist and we'll keep you posted.